Fr. 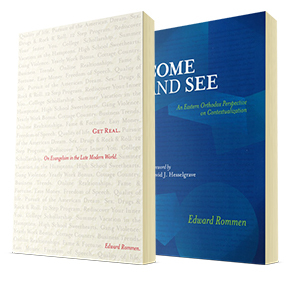 Edward Rommen is the rector of Holy Transfiguration Orthodox Church (OCA) in Raleigh, NC, author of Get Real, Come and See, and the forthcoming Into all the World. He is currently adjunct professor of theology at the Divinity School of Duke University.